Unexpectedly my recent travels in Argentina began on the 8th floor of an obscure building tucked above Florida Street in Buenos Aires lone fly shop. For those who have wandered this congested yet colorful pedestrian thoroughfare, it’s probably not what you are thinking. While waiting to check into my hotel KC Walsh, head honcho at Simms, just happened to wander into the lobby. Being on a tight schedule, which KC always seems to be, he collared me and ran me across the street to meet Marcelo; purveyor of the cities only fly shop. 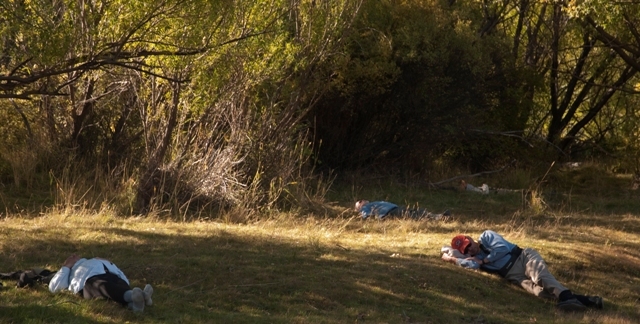 Like most Argentine flyfishers, his enthusiasm for his country and its diverse fly-fishing opportunities flowed from his exuberant personality. Our visit was brief, yet well worth the diversion on many levels. Ah yes, you've got to love small world moments! For starters, finding a fly-shop in Buenos Aires given the myriad of exotic options this city offers wasn't exactly on the days radar. Drinking a few street side brews, checking out the local scenery, enjoying a nice lunch, and asado for dinner later on were more what we had in mind. Being commandeered by KC wasn’t part of the picture when we arrived, yet no visit to this busting city has ever been orchestrated with a plan of consistency. Unfortunately for KC, his stay was coming to an end. For us, our adventure was just getting underway. Those fortunate to have fished with a fly in South America revel in their trout, the myriad of diverse waters, expansive and often vertical vistas, its peoples gracious hospitality, fine wines, and hearty cuisine. 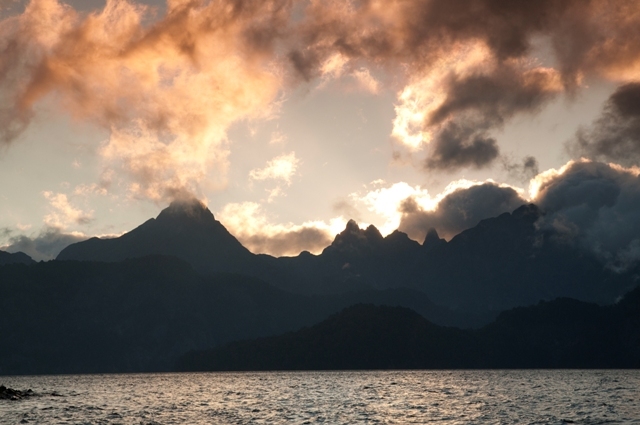 These are some of the extraordinary aspects of a fly-fishing journey in Patagonia. Somewhere in the discussion along with the eloquent accolades that accompany a visit to Argentina you’ll encounter various descriptive adjectives elaborating on the countries notorious wind. Well deserved I might add. Looking back as proof that first year I remember my last brown trout of the trip literally being drug up into the shallows and beached as the wind drove the full length of my fly line well up onto bank of small cobbles and stones. It was one of the most productive days of our visit, yet it had it’s frustrations for angler and guide alike. That’s what cold beers, good cigars and a good streamside nap are for! Those pondering this trip, be fore warned; in this part of the world Mother Nature’s not often kid. On the brighter side, the trout don’t seem to mind. It is not my goal to catch all the world fishes, or to venture to a new fly-fishing destination just to say I have. That would be similar to counting fish as the sole reflection of the experience. Such sallow manifestations neglect any relationship or respect for the waters, the creatures they are linked to, or the impact as an angler you have. Instead days fly-fishing are narrowly affixed to a simple number. I have always sensed that fishing with a fly offers much more than that. I feel the same about the destination I frequent and come to know. It’s why I enjoy traveling and sharing my experience and the places I’ve come to frequent with others. You can’t always control the fishing, that’s a simple fact, but it’s also what makes what we pursue rewarding. If you are pondering a trip to Argentina, BC or anywhere in the world for that matter and you gauge the success of the adventure on the number or the size of fish that come to hand, you’re probably going to spend a lot of money being disappointed. 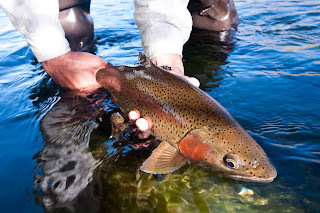 If you consider all the amazing attributes that you get to enjoy as a result of fishing with a fly-rod, whether it be in your backyard or abroad, you are more often than not in for many incredible fly-fishing experiences. This being just one! Having found something special in Argentina, again I returned knowing I’ve only pawed at the surface of this vast countries waters; its fly-fishing opportunities, people, wines the endless trays of succulent meats and fine pastas. Yearning to enhance our familiarity of Argentina’s offering, we changed our trip from February to April this year; not that early February visits weren’t living up to expectations. The fact that this is my third visit to Argentina should vouch sufficiently for those first two experiences. The lure of more stable weather, consistent hatches and fewer bodies proved a strong attraction to the switch. Not that the rivers of Argentina are crowded, but given the other two considerations, throwing the third into the mix only provoked our curiosity. Our host’s boastings held true; Mother Nature behaved her self, however she did rear her ugly head on occasions. 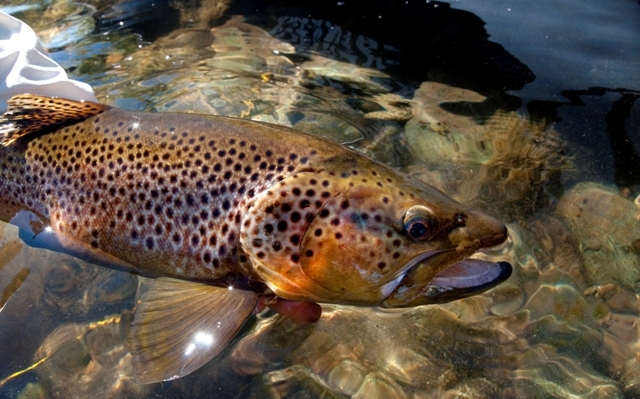 The rivers prolific hatches generated some of the best dry fly-fishing we have yet to enjoy. The weather overall couldn’t have been more ideal or timed; little wind, spectacular sunsets, and clouds and rain when the mattered the most. And yes, and there were few if any on the water to share in our experience. This third time was a charm. Looking to 2012 in April of 2012, I figure the forth time should be like fine wine that just keeps gets better with each passing year. Did I mention that Argentina has some pretty outstanding wine!